Just a heads up: head out to your Barnes and Noble bookstore and pick up the latest issue of Planet Muscle. In it I have an article called "Heavy-Light Training." "Hello, can you give me a routine for the 10-8-6-15 program using just a barbell? All I have is a cage, a bench, an Olympic barbell and 300 lbs, no dumbbells. I can no longer go to a gym." A) Squats- 4 sets of 10, 8, 6, 15 reps; 2 minutes rest. B) Bench press- 4 sets of 10, 8, 6, 15 reps; 90 seconds rest. C) Pull-ups or Barbell rows- 4 sets of 10, 8, 6, 15 reps; 90 seconds rest. D) Wide grip barbell upright rows- 4 sets of 10, 8, 6, 15 reps; 1 minute rest. E) Barbell curls- 4 sets of 10, 8, 6, 15 reps; 90 seconds rest. F) Close grip bench press- 4 sets of 10, 8, 6, 15 reps; 90 seconds rest. "I would be interested in learning how to gain mass. I am a hardgainer when it comes to muscle. Can your program allow for kettlebells?" 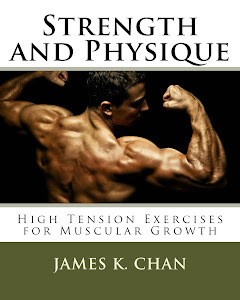 My Answer: In Tactics and Strategies there's a chapter on kettlebells for the purpose of bodybuilding. 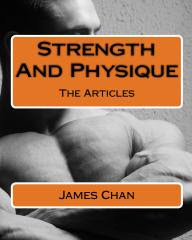 The chapter essentially provides info on how to construct a kettlebell program with a bodybuilding focus. In other words, building muscle for looks with strength as a nice side effect. The chapter also has a program that you can follow. What to do to Become a Cop? Q:"Hi, I have a few questions to ask you: I was trying to figure out what to do to become a cop. I am also trying to figure out what kinda workout I need, so I can get in to good shape." My Answer: I have no idea what your background is physically or lifestyle-wise. Obviously, you should have your life in order before you apply as a peace officer. No outstanding debts, no criminal history, no character flaws. Now with regards to workouts, I have no idea what to tell you, because you haven't provided me with your physical background. Everybody starts from a different baseline, so prescibing a universal workout for cops is not something that I do. 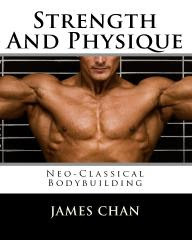 Nevertheless, check out my article on Strength Training for Cops and my blog posts on the topic. These will give you some direction where you can start asking more specific questions on how to be a cop. Q:"If you have time could you please clear up a few things for me? First let me say thanks so much for doing the article. It’s going to be very helpful for me, since I’m a slim framed guy. I’m about 5’10 150 and can rep 160ish once or twice. I guess that 160 at my weight isn’t bad, but I want to add size. "I’m a 6 year Krav Maga practitioner, so my build is more lean and built for speed, what I consider the martial artist build. I may have missed this, but how much weight should I be trying to do for each set? Should I try to add a little weight each time the number of reps goes down? 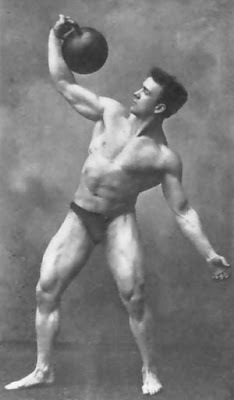 How much should I try to lift on my 15 rep set?"